CARE FOR YOUR ROSE When you receive your Rose Bush, please unwrap from the packaging, and follow these instructions on where to plant, the Floribunda Rose Bush must be planted in the garden within a week, the pot it is delivered in, does not contain enough nutrients to support the rose bush, it is only intended for delivery purposes. Patio Roses, however can be planted in a pot, but please ensure the pot is at least double the size of the plant, 8-10 ltr size. It will need more care than the roses planted in the garden, so you will have to replenish the soil in the spring, and give it food during the growing season, stop any food in August. Failures to follow these instructions will waiver your rights for a replacement plant or refund. Where to Plant your Rose Bush? Roses can be planted anywhere in the garden, they don’t like to be planted under a tree, they like the sun but they will thrive in the shade too. 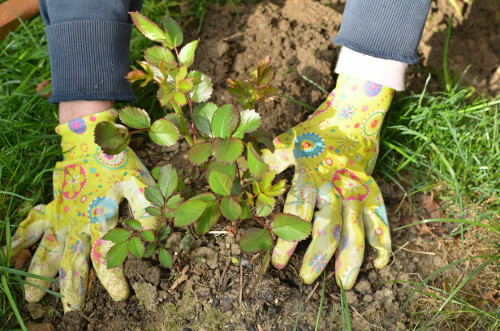 How to plant your Rose Bush? If you have a Floribunda Rose Bush, you will need to take it out of the pot and dig a hole double the size of the roots, if you can put some manure at the base of the hole and mix the remaining soil with some good compost, place your plant in the hole and fill with the soil and compost mixture, making sure that you firm the plant into the soil, give the plant a good water. If you have received a Patio Rose Bush, ensure you have a large pot, put some crocks at the base of the pot and some manure, half fill the pot with compost and then position the plant in the middle of the pot, and fill with the remaining compost, ensure that you firm the soil around the plant, give it a good water. For planting Patio roses in the garden follow the instructions above for Floribunda roses. In the spring and summer you will have to feed your rose bush, planted in the garden or in a pot, give the plant a good feed once a week, we have tried many different plant foods but the ones we find best are Tomato fertilizer, Potassium for healthy green growth, generally this is the ratio of fertilizer for roses, 10% nitrogen, 20% phosphorus, and 5% potassium, but look out for any fertilizer specially made for roses. Dead heading your roses will promote more flowers; it also makes the plant look better! You will need to cut back your roses during the Autumn, cutting back your roses hard, will make a stronger plant the following year. I have a problem with green fly? We use Rose Clear every week, by spraying your roses before it gets any diseases will ensure that you have a healthy rose bush, but if you do get green fly, spray the plant when it is a dry day, and continue to spray every other day. Some of our customers tell us they spray their plant with ‘washing up liquid’ diluted to get rid of green fly. I have a problem with Black Spot? 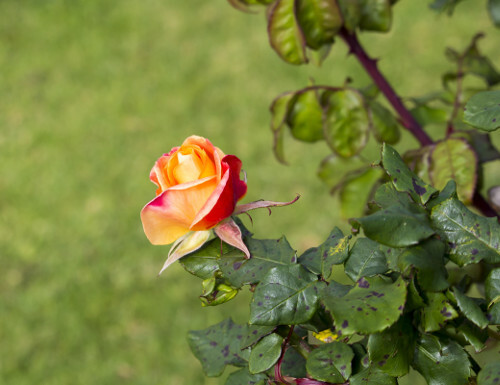 Again we would suggest you use a spray once a week, to prevent this from happening in the first place, but if you do notice you have black spot, then cut back the plant, spray with something like ‘Rose Clear’ or anything similar recommend for black spot for roses. As the plant grows continue to spray every week. Roses will give you many years of marvellous blooms, they take just a little looking after, they are not demanding. 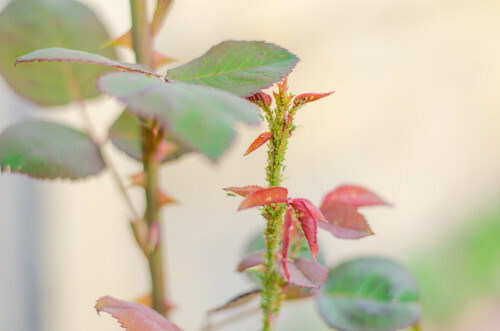 Finding the right spot for your rose bush is key, and then if you follow the tips above, you should find your rose bush will flourish and thrive. Learn how to care for your rose bush. From choosing the site and planting to feeding, mulching, pruning & dead heading your rose bush.